Apple is reportedly "mulling" the idea of launching a stylus compatible with iPhone, believed to be a new iteration of the Apple Pencil, which is currently only supported by the iPad Pro. The rumor comes from industry sources speaking to The Korea Herald (via The Investor), which claimed that Apple engineers "have recently been working" on a new iPhone device that "comes with a digital pen," aiming for a potential launch in 2019. The sources said that the iPhone stylus is likely to adopt a "supercapacitor stylus type" for price benefits, contrasting with Samsung's Galaxy Note pen which is based on electromagnetic resonance technology that needs additional panel components to be installed underneath the smartphone display. "A supercapacitor type is cheaper to make compared to the EMR stylus. It also offers a more pen-like feel," according to the industry sources. Notably, Apple's current A-series chip would see a "drastic upgrade" as well in order to fuel a better handwriting experience for the stylus on iPhone. Apple is mulling something that its late founder Steve Jobs had outright rejected -- adding a stylus to its iPhone, according to industry sources on Oct. 13. The Apple Pencil launched nearly two years ago in November 2015 alongside the 12.9-inch iPad Pro. 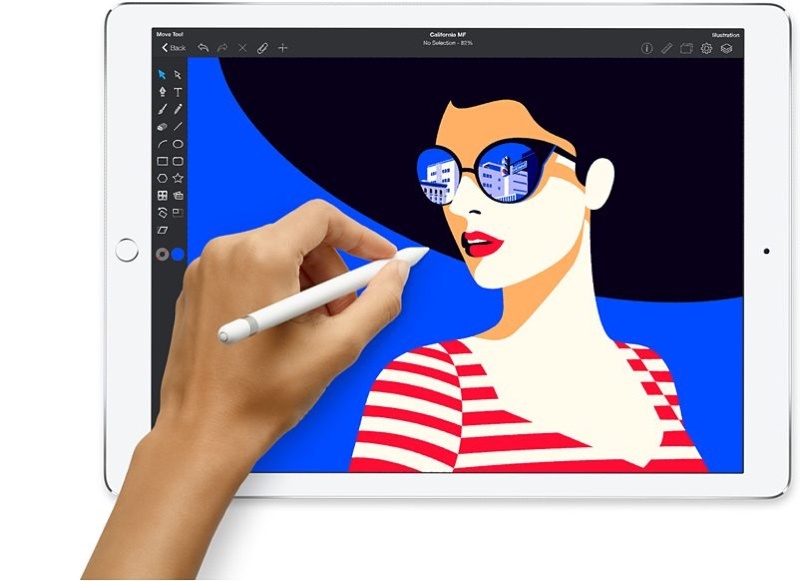 Apple's first stylus was designed specifically to work with the iPad Pro, and gives users the feel of using a real pen or pencil with sensors that determine the orientation and angle of the Apple Pencil, and pressure sensitivity allowing for darker or lighter pen strokes. Former Apple CEO Steve Jobs was famously against launching a stylus for iPhones, during the original iPhone event stating: "Who wants a stylus? You have to get them, and put them away, and you lose them, yuck. Nobody wants a stylus." Apple executives and current CEO Tim Cook have repeatedly avoided referring to Apple Pencil as a "stylus" over the years, with Cook commenting in an interview last year that "we launched a pencil not a stylus." The Apple CEO further stated, "I think that Steve would have loved" the Apple Pencil, and even gave early mention of a pencil device potentially supporting iPhones in the future: "if you’ve ever seen what can be created on an iPhone or an iPad with that pencil is really unbelievable." "Who wants a stylus for their phones? You've to put it away, you lose em, YUCK"
The video and quotes of Steve often get rolled out whenever the Apple Pencil is discussed. However, in defence of Tim Cook, I think people are too quick to jump to those quotes/video. At the time Steve made those comments in the keynote, pretty much all 'touch screen' devices were shockingly bad and pretty much unusable with just a finger - at least in the way we use them now. Most devices resorted to needing a stylus as the only reasonable way of interacting with the device. The iPhone changed all that, and Steve's comments were indicative of that shift in technology. Here'a device with a touch screen so good, so accurate, so responsive that you can use it entirely without a stylus, unlike 98% of devices on the market at that time. It was a game changer. The Apple Pencil is an optional stylus. You don't need it. You can use the iPad Pro without the Pencil. But with it, you can write naturally or be more precise. In that sense, I don't think Steve's comments are completely out of sync with the existence of the Pencil? Remember when Apple was innovative and Apple fans gleefully accused Samsung of stealing all their ideas? Doesn't feel so good to be an Apple fan does it? Not only that Apple takes 2 or 3 yrs to use those "ideas..." and have the gall to still call them "innovative." This is an Apple thing to do. Instead of being like Samsung where a pen is provided. Give the ability to add one, at a price, oh and only the Apple one. There’s a big difference between needing a stylus to operate the device at all, and wanting a stylus because it’s useful in certain situations and for certain applications. I think it should always have been an option, just never a necessity. They need to add a stylus to the iPhone now - just so people can use the eraser to rub out the notch. No, that’s not how to charge a Pencil. The correct method is to use the wire with the provided adapter. The method depicted on the picture is for a quick charge in case you can’t plug to an outlet and you need the Pencil to be functional within 15-30 seconds. Let's be clear about three things. 1. Steve Jobs is not in charge of Apple any more. He's dead. The company is moving forward. 2. As with any product and company, the comment about stylus was because he was pitching his multi-touch phone and wanted to differentiate his product from the competition. He may have been against the idea of a stylus. But it's pretty irrelevant to the conversation. It was a way to mock the competition at the time. 3. a Stylus on a 3.5" phone made/makes no sense. But technology, phone size and consumer behaviors have changed a lot since Jobs made those comments.